National Hospital Insurance Fund is a State Parastatal that was established in 1966 as a department under the Ministry of Health. The original Act of Parliament that set up this Fund in 1966 has over the years been reviewed to accommodate the changing healthcare needs of the Kenyan population, employment and restructuring in the health sector. Currently an NHIF Act No 9 of 1998 governs the Fund. The transformation of National Hospital Insurance Fund from a department of the Ministry of Health to a state of corporation was aimed at improving effectiveness and efficiency. The Fund’s core mandate is to provide medical insurance cover to all its members and their declared dependants (spouse and children). NHIF membership is open to all Kenyans who have attained the age of 18 years and years and have a monthly income of more than Ksh 1000. National Hospital Insurance Fund has 61 fully autonomous branches across the country. Each of these branches offers all National Hospital Insurance Fund services including payment of benefits to hospitals or members or employers. Smaller satellite offices and service points in district hospitals also serve these branches. 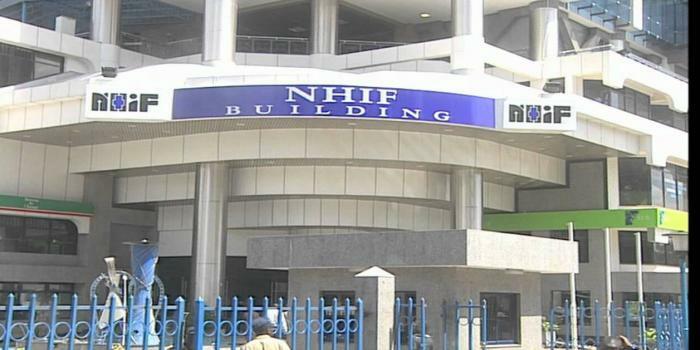 The NHIF registers all eligible members from both the formal and informal sector. For those in the formal sector, it is compulsory to be a member. For those in the informal sector and retirees, membership is open and voluntary. To register with NHIF as a member, fill in the Members Form. To register as an employer or organized group, fill in the Employers Form. To provide accessible, affordable, sustainable, equitable and quality social health insurance through optimal utilization of resources, to the satisfaction of stakeholders. National Hospital Insurance Fund works closely with Wakonyu Oprhans Project in making healthcare accessible to the most vulnerable orphans and grandparents in Kisumu. The social health insurance has supported many needy families from the major slams in Kisumu city. This has been done with this unique partnership between National Hospital Insurance Fund (NHIF) and Wakonyu Orphans Project.